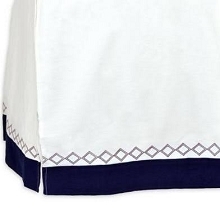 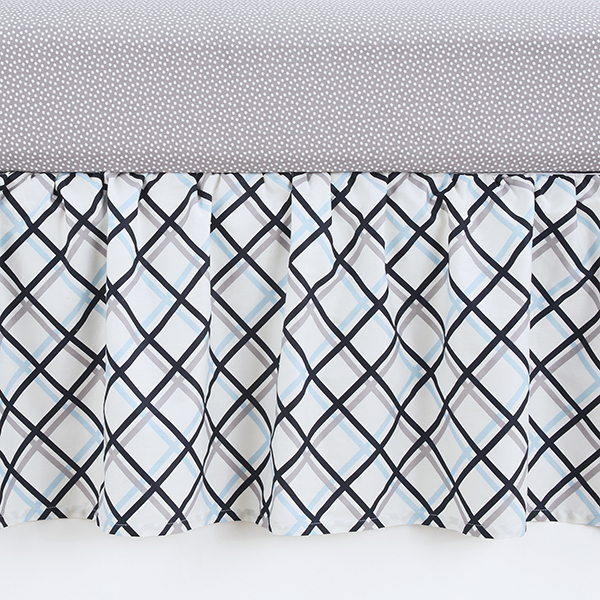 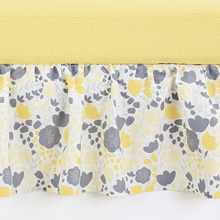 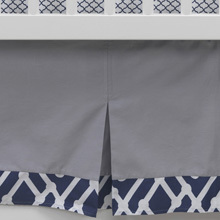 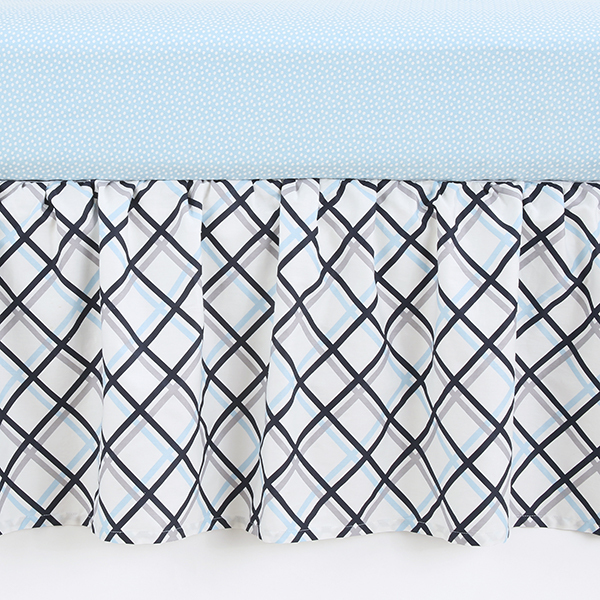 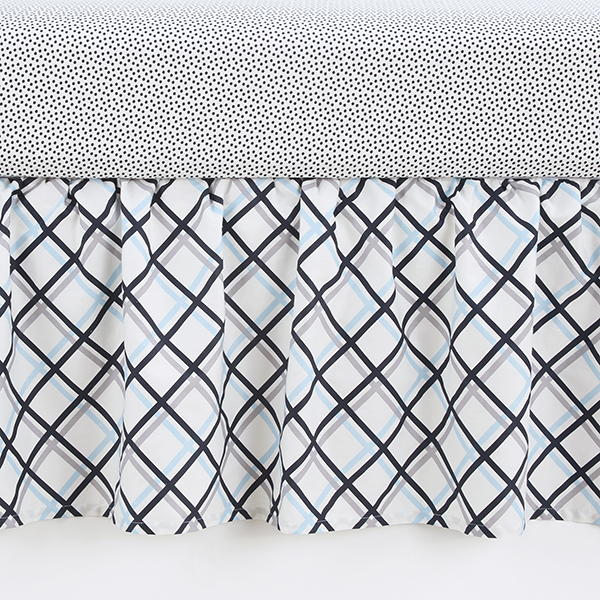 The Navy Leaves Dust Ruffle will provide the perfect finishing touch for your baby boy's crib. 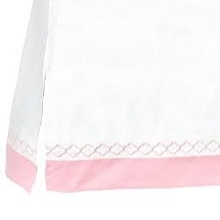 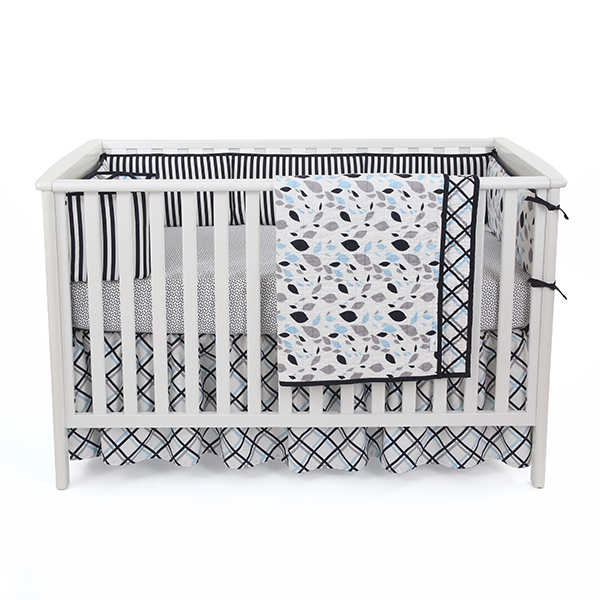 Beautifully designed geometric plaid print features 100% cotton sateen with a 16 inch drop to assure that your crib looks fully dressed even with the mattress at the highest setting. 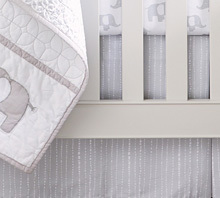 Coordinates with other pieces from the Navy Leaves Bedding Collection.